If you’re moving house, come to us and no matter how large or small your requirements, we’ll fulfil them and then go that bit further to alleviate stress and worry from the process. We’ve been doing what we do for seven decades, which means we can spot a problem and head it off before it even arises. We’re dedicated to getting you settled into your new home with a minimum of disruption to your life. Moving may be notorious for being an exhausting and unavoidable aspect of living, but we aim to make it altogether calmer and happier. 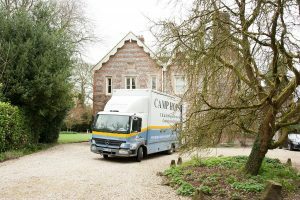 We’re familiar with the area which is why we can offer removals in Berkshire that are efficient and streamlined. We offer extra services, including packing and unpacking and our team is made up of people who know how to care for all kinds of items. They’ll find the right protective packaging for valuables and fragile goods and they know how to get a piano ready for transit. Reassembling items at the other end is also no problem. We want your first night in your new environment to be free of unnecessary chaos. Not all removal companies in Berkshire offer the same degree of consideration. If you need storage in Berkshire, you’re in luck. We run excellent facilities and we’ll have the right amount of space for you, regardless of whether you need it long- or short-term. Sometimes, moving necessitates a period of storage – you may be downsizing, for example, and needing to house some goods while you work out what to do with them. We’re here to help and find the right storage solution for you.